I can't believe how fast December has gone by! 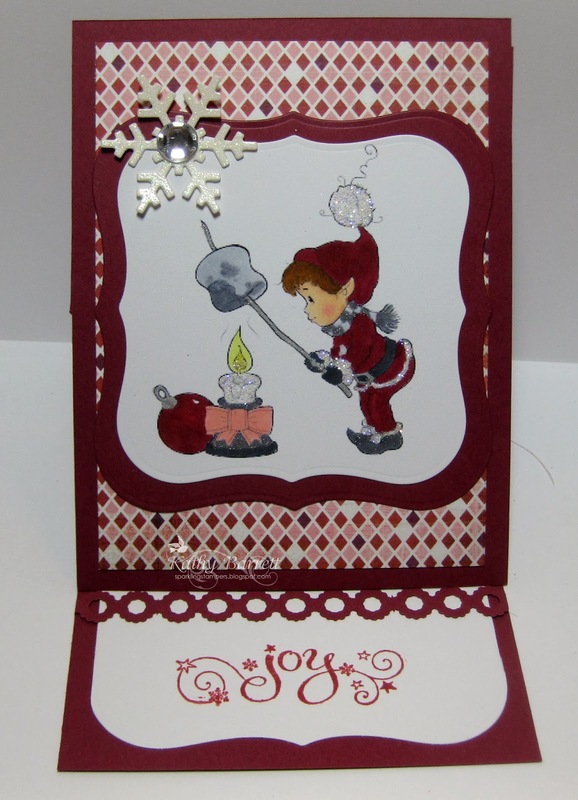 It's time for another DT post for Aud Sentiments and my card features a design from The Paper Shelter, A Marshmallow for a Christmas Elf. This one slipped up on me since Christmas fell in the middle of the week and I always feel like Christmas Day is a Sunday. Anyone else get confused like that? I colored the image with Copics and used Denami Sparklets glitter on all the furry parts and on the candle. Wink of Stella was used on the shoes, scarf and candle holder. An MFT die was used for the snowflake made from sparkly DCWV and topped off with an oversized rhinestone. 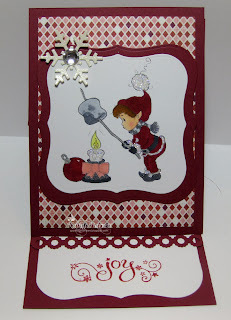 The dp is Eskimo Kisses from Basic Grey and Spellbinders dies were used to cut out the image. Since this is an easel card, I used an EK punch to provide a line for the front to rest on. The sentiment is from Inkadinkado. Please be sure to stop by Aud Sentiments to see what my blogmates have created for you! Hope everyone is enjoying the holidays!!! Such a pretty design and the image is definitely joyfull.